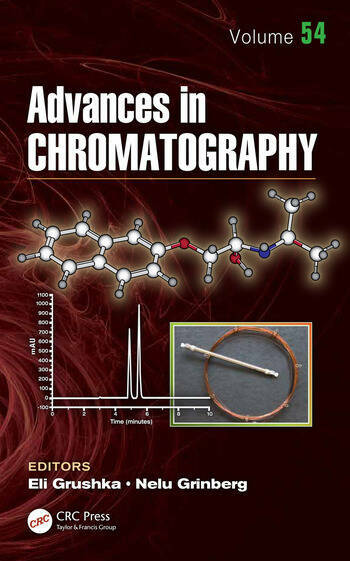 For more than five decades, scientists and researchers have relied on the Advances in Chromatography series for the most up-to-date information on a wide range of developments in chromatographic methods and applications. 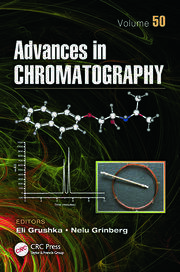 For Volume 54, the series editors have invited established, well-known chemists to offer cutting-edge reviews of chromatographic methods applied in the life sciences that emphasize the underlying principle of separation science. The clear presentation of topics and vivid illustrations for which this series has become known makes the material accessible and engaging to analytical, biochemical, organic, polymer, and pharmaceutical chemists at all levels of technical skill. Recent progress in the fundamental understanding and practice of chaotropic chromatography: rationalizing the effects of analyte's structure with pharmaceutical applications. Quantitative Mass Spectrometry Imaging of Molecules in Biological Systems. 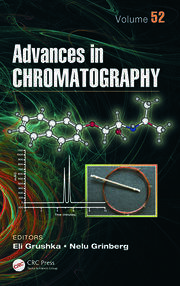 Long range molecular interactions involved in the retention mechanisms of liquid chromatography. Immobilized chiral selectors on monolithic HPLC columns. Dr. Nelu Grinberg is a Distinguished Research Fellow in the Chemical Development Department at Boehringer Ingelheim Pharmaceuticals in Ridgefield, CT. Prior to this, he worked for sixteen years in the Analytical Department at Merck Research Laboratories in Rahway, NJ, where he was a Senior Research Fellow. He has authored and coauthored over 118 publications, including articles and book chapters. 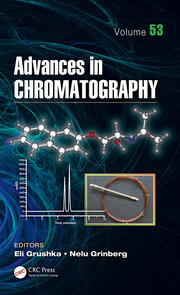 He is currently Editor and Chief of the Journal of Liquid Chromatography and Related Techniques, Editor of the book series Chromatographic Science Series, and Co-editor of the Advances in Chromatography series. He is also the President of the Connecticut Separation Science Council and a Koltoff fellow of the Hebrew University of Jerusalem. Dr. Grinberg obtained his Ph.D. in Chemistry from the Technical University of lasi in Romania. He conducted postdoctoral research with Professor Barry Karger at Northeastern University in Boston, Massachusetts, and with Professor Emanuel Gil-Av at The Weizmann Institute of Science in Rehovot, Israel.